Click Play below to watch an overview of L.E.A.P. Interactive®! L.E.A.P. 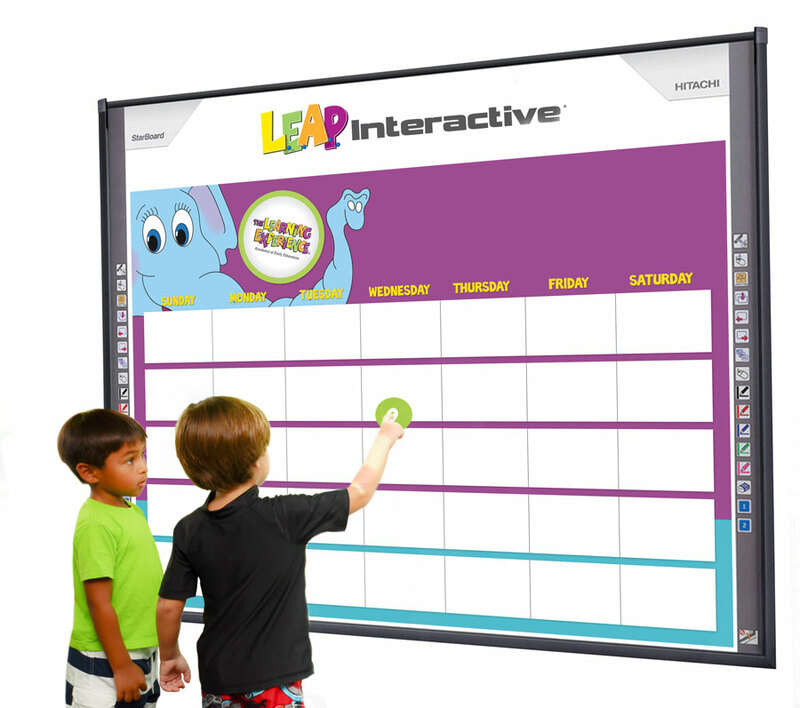 Interactive® is the next generation of our L.E.A.P.® curriculum. Designed to enhance the monthly themed programs, L.E.A.P. Interactive® enables children to interact with cutting-edge touch technology on a large screen and experience real-time videos and eye-opening destinations via Google Earth®. They can travel the world without ever leaving the classroom. The children are taught to use interactive tools including the Fill tool, Shapes tool, Marker tool, and Spotlight tool. At the end of the month, the child's L.E.A.P. Interactive® workbook is filled with "I did this activity on the L.E.A.P. Interactive® board" stickers.